The Infinite Discs VIP Club! Infinite Discs now runs a very exciting program for disc golf enthusiasts and collectors. 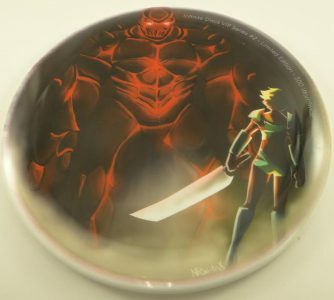 If you’re a fan of fun, collectible discs, or you love exploring and throwing the newest discs on the market, from manufacturers both small and large, then you’ll love this! Each month, all subscribers will be automatically charged a flat $19.99 rate for an exclusive VIP Club edition of a disc. The shipping cost is included in the subscription price. 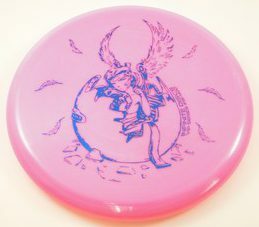 Infinite Discs works with different disc manufacturers each month to produce popular discs with unique and exclusive stamps. Occasionally we will explore new plastics and colors. These will be LIMITED EDITIONS and clearly marked as Infinite VIP Club discs. 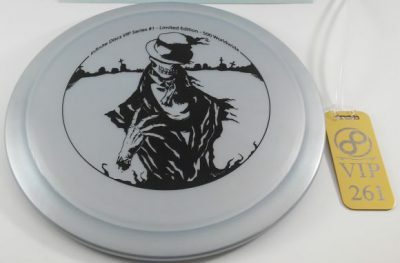 They will not be sold individually on Infinitediscs.com or in any other store–­­ only to our VIP Club subscribers! Once a disc is released to subscribers, there will be no more discs made with that same design, thus keeping your discs collectible and valuable! There are a limited number of VIP spots available. Once our pool of subscribers is full, you’ll have to wait in line for a spot to open so you can join the club. Monthly disc shipments will occasionally include bonus items like stickers, keychains, minis, towels, and other disc golf swag! Though little, extra items are not the focus of the VIP Club, they can be fun additions to your monthly surprise package. Once subscribers have joined the Infinite Discs VIP Club, they will be able to unsubscribe by notifying Infinite Discs VIP Support a month before the next release. Once your subscription is surrendered, somebody else can take your spot and you may not be able to join again until another spot opens. This is a club for disc enthusiasts. Infinite Discs will not guarantee that any particular disc or manufacturer of your preference will be featured in any given month. The featured discs will be designed, ordered, and shipped at Infinite Disc’s discretion. We cannot guarantee that every disc will be your preferred model, but we can promise a large variety of putters, mid-ranges, fairway drivers, and distance drivers, all in premium quality plastics. If you are not excited about exploring discs from many different manufacturers with exclusive stamps, then the club is probably not for you. Once your monthly subscription charge goes through, you can expect the exclusive disc to show up within the next 30 days. However, shipping times may vary due to postal destinations as well as unforeseen manufacturing delays. However, you will ALWAYS receive the disc you paid for, even if delayed due to reasons beyond our control. Individuals will be able to subscribe for multiples of each monthly disc, up to 3 discs, but will be charged full price for each disc. GIVE A VIP CLUB MEMBERSHIP AS A GIFT! ONE ENTIRE YEAR! Due to popular demand, memberships in the VIP Club can now be purchased for an entire year, either for yourself or as a gift to another player! You can pre-pay for an entire year in the club so that each monthly disc arrives without interruption. You won’t need to worry about paying again until the next year, should you decide to remain a member. This is one of the best gift ideas for any avid disc golfer! They can receive a pleasant surprise each and every month for an entire year! VIP members also receive additional discounts on every InfiniteDiscs.com order and access to our VIP club store, where additional limited edition discs are available only to VIP members. 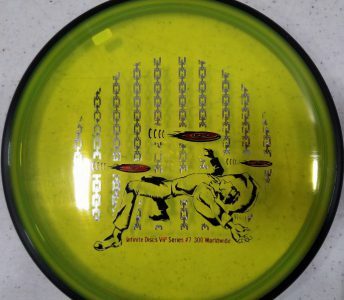 The INFINITE DISCS VIP CLUB currently has a few open spots. If you would like to join, then GO TO THIS PAGE and complete the subscription process. When will you guys start shipping the first orders out, just wondering? For sure by next week. We may even be able to start shipping them on Friday the 27th, if the discs arrive in time. Sign me up I’m ready.